Most of us that are of a “certain age” remember the music of our youth – Cream, The Rolling Stones, Led Zeppelin, and dozens of other bands that all shared a common thread. That common thread, of course, was music that was rooted in the blues and was born from it before taking over the world as we knew it. So it makes sense that when a lot of us turn to learning the guitar, we turn to the music we grew up with and know so well, the blues. Griff Hamlin has been making it his job to spread that love of the blues, and blues guitar specifically, through his website, BluesGuitarUnleashed.com. 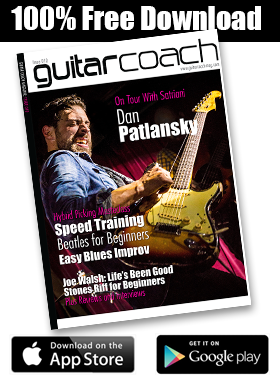 Since starting out of his laundry room in 2006 (a lifetime ago in internet years,) Blues Guitar Unleashed has grown to encompass more than 20 different courses and over 43,000 members around the world. Griff’s now famous “4 Note Solo” video has been viewed over 1.8 million times as Griff has sought to take the mystery out of blues guitar playing now for nearly 3 decades. Griff started playing in elementary school just strumming simple songs with his father on piano and learning a few things from the music teacher at school. But his family lived in a small town without any private teachers, so it wasn’t until Griff was the ripe old age of 12 that his family moved to a bigger town and he was able to really take off. By the age of 15 Griff was already playing in garage bands and teaching some other kids from his high school. He studied privately with a few teachers in the area, but admits that he learned a lot from mail order courses and the old “Hot Licks” videos. Since Griff was mostly into the more popular hard rock music of the 1980’s at that time, technical ability was a huge factor. He would spend as much as 2 hours a day practicing nothing but scales, arpeggios, and melodic sequences in an effort to improve his speed and accuracy so he could sound like the popular guitar players of the day. When a music store opened up just 2 blocks from Griff’s house, he jumped at the chance to start teaching more as he found he enjoyed it and found he was able to explain things to his students in a way that they seemed to understand easily. But while Griff was spending hours each day on the guitar, most of his students did not have that luxury and Griff began to see that simplifying ideas and concepts to their simplest form was going to be extremely important. Towards the end of the late 1980s and early 1990s, Griff heard Stevie Ray Vaughan, Jimi Hendrix, BB King, and Albert King for the first time, and everything changed. In 1993 Griff started his own blues band and released his self titled CD in 2000. During those years of performing 150-200 nights per year in Southern California area clubs, Griff met a lot of people interested in learning the blues but not sure how to start. Since Griff was teaching privately at the time he would take those students on and it was rare that Griff didn’t have a waiting list to get in for lessons. Fast forward a few years and the internet came on strong. Suddenly music was easily accessible and YouTube had captured the attention of millions of guitar players around the world. But Griff noticed an interesting thing… when his students would bring in things they got from the internet, they would almost always be incorrect and would require quite a bit of fixing before they were even close to correct. It became clear quickly that the volume of information the internet was going to provide was not the answer, and that the quality of that information was going to be a big issue. And with that in mind, Griff started learning how to do online audio and video courses in 2006 and released his first course called Playing Through The Blues. It was simply a digital book and mp3 sound files, but it was a start. And after 2 years he had added video, and an additional section on blues rhythm playing (the original was lead only.) The idea at first was simply to provide the best blues learning experience for people who could not get to a private instructor. Griff simply took all of the things he learned over thousands of private lessons and spoke to the camera the way he would speak to a student. That approach resonated with people and by late 2008, Playing Through The Blues had been overhauled and renamed Blues Guitar Unleashed so that it could be put on DVD and shipped. Within a few short months what started as a part time hobby turned into nearly a full time operation. By mid 2010 Griff simply couldn’t keep up the schedule anymore and radically scaled back his private lessons to handle his online customers and make sure they were getting the best experience possible. 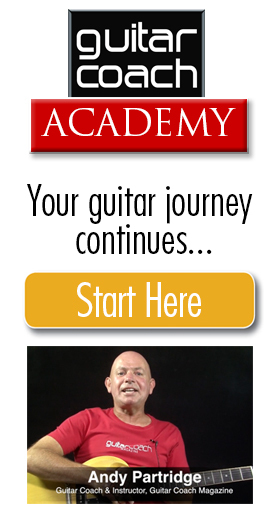 “Online guitar lessons are certainly a great thing for many people,” Griff says. 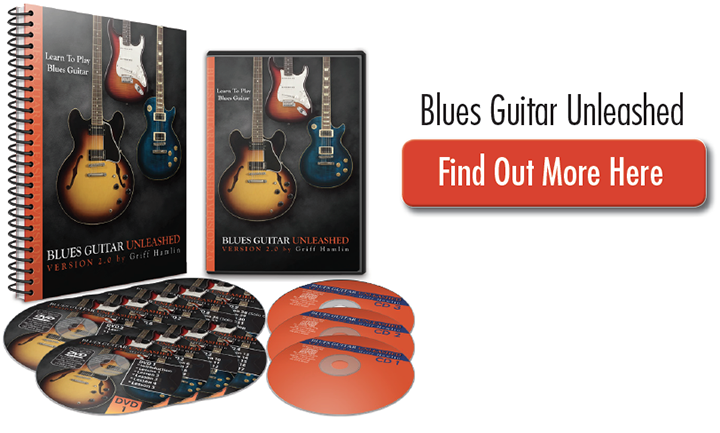 Now in 2015, Griff has release version 2.0 of his flagship Blues Guitar Unleashed course. “The ‘hostage lighting’ is all gone,” Griff says with a chuckle. “I’ve learned a lot about how to light video and how to make it look good… mostly technical stuff. 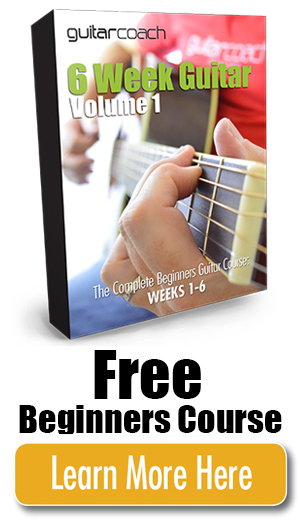 As for lead material, “There are 6 complete solos, tons of licks, and all the scales. Basically the idea is that if you go through this course from top to bottom, you can get up on any stage, at any time, with any blues band, and feel like you know what you’re doing and you’ll sound good. It’s clear that Griff feels a responsibility to his students and to blues music as an art form. And judging from the throngs of Blues Guitar Unleashed devotees on Facebook and in the Blues Guitar Unleashed Member forum, his students feel the same about him. Earlier this year, when Griff’s band truck and trailer was stolen with all the band’s gear in it, Blues Guitar Unleashed members all rushed to contribute to a GoFundMe campaign (setup by a “BGU” member) and raised almost $30,000 in just a couple of weeks. “That really blew me away,” said Griff. “I always say that I have the coolest customers anywhere on the planet, but that really amazed me. I’ve never been so humbled or inspired in my whole life.” And it’s that inspiration that continues to motivate him to provide the best possible experience to anyone who wants to play the blues. I’ve been a student for several years now and all of sudden I stopped getting your lessons! I miss them terribly! What do I need to do to continue getting them?